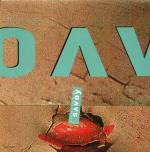 The second Savoy album was released in Norway and Sweden only (NB: The Swedish release came more than 3 years after the Norwegian one, on 4th January 2001). It was written and produced by Paul and Lauren Waaktaar Savoy, mixed by Jason Corsaro (except * mixed by Simon Vinestock). The album features Paul Waaktaar Savoy on lead vocal, guitar, keyboard (and bass on +), Lauren Savoy on lead vocal and rhythm guitar, Frode Unneland on drums and backing vocals plus Greg Calvert on bass. The cover of this Dutch made 13-track album features a close up shot of a cracked dolls face. The Savoy logo is printed in silver at the top right hand corner with the title in black beneath. The sleeve folds out length ways. One side of the insert is dark red with the track listings printed in silver and small black and white pictures of the band members. The other side of the insert is black with the title of the album made up from large coloured printers letters. Some lyrics from the songs are printed in silver around these letters. The reverse insert is black with the title in the colured printers letters along the left hand side. The tracks are listed in silver across the middle. 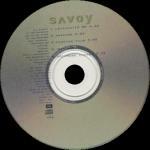 The actual disc is silver with a small embossed Savoy logo at the top and title in black below. Additional text is printed in black down the left hand side. The CD tray is clear allowing the backing insert to be seen through. It is metallic grey with grey text and four small black and white pictures of dolls faces. Promo copies of the album sampler CD come in a jewel case without an actual CD insert. Some copies come with a grey sticker with the title printed in white on the front of the jewel case. Around 250 copies were distributed inside a 21cm x 21cm fold out card picture sleeve. This sleeve has four flaps which open out. The picture on the outside is similar to the album cover but the large silver Savoy-logo is written all the way across the top (although only the letters A, V and O can be seen as the rest cuts off). Inside the sleeve, the middle is similar to the inside of the CD booklet - black with large dirty looking red, orange and yellow printers leters reading "Lack" "luster" "Me" in three different lines. The insides of the flaps are dark red with information on Savoy, a-ha and the tracks on the new album. There are also small black and white pictures featuring the band members. The whole sleeve is fastened together by a piece of silvery tape with the words "Lackluster Me Savoy" in white letters. The actual disc is similar to the regular edition but with a textured feel to it. It features the five tracks: Lackluster Me (4:30), Unsound (5:02), Foreign Film (3:55), Rain (Edit) (4:20) and Sycamore Leaves (3:55) which are listed on the disc. There is a 4-track inhouse promo album sampler (Maxoptix CD-R) which comes with a green front label. It features a different version of "Foreign Film" (4:59). More details to follow.